An emperor penguin makes the 5-foot leap to solid ice at the Penguin Ranch in McMurdo Sound, Antarctica. A few emperor penguins are placed in a fenced-in area where they can be studied. 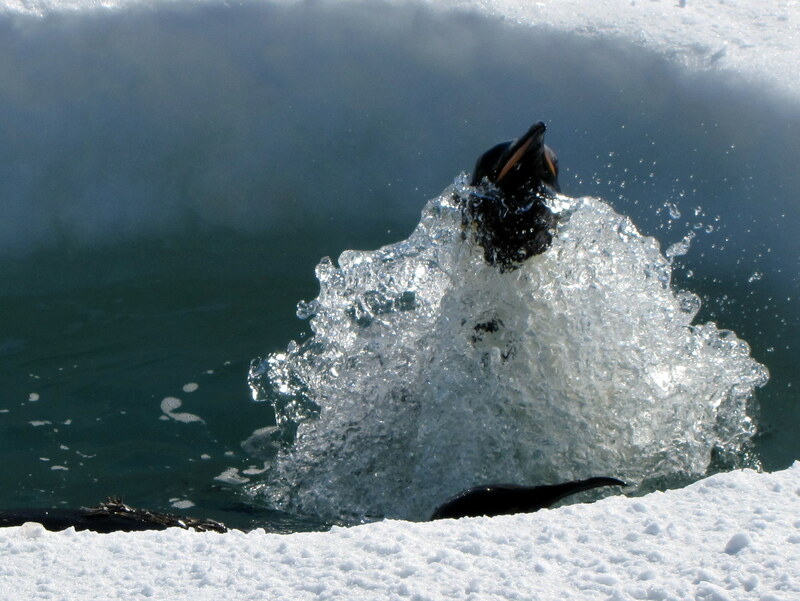 A circular hole cut through the sea ice allows the penguins to dive for their own food, but since they have to breathe and the ice is thick, they return to their temporary home at the end of each excursion.